Here is a nice woman mannequin with abstract head. The facial features are not drawn. This woman mannequin is in stock. 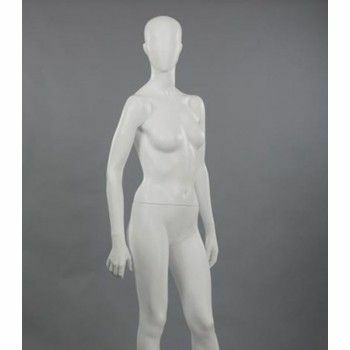 This woman mannequin comes with a round glass base that attaches to the foot. Fiberglass, it has the perfect measurements to showcase your latest collections of women’s clothing.